When you visit a physical therapist at Excel Sports and Physical Therapy in St. Charles, Missouri, we will examine your condition to recommend a personalized treatment. Many of our treatments involve the use of hands-on techniques and the use of special equipment like ultrasounds or electrical stimulation. One technique that is growing in popularity is Kinesio taping. Kinesio tape is an adhesive strip that has the elastic properties of skin. It stretches and moves with your body, so it doesn’t limit you when you use it. 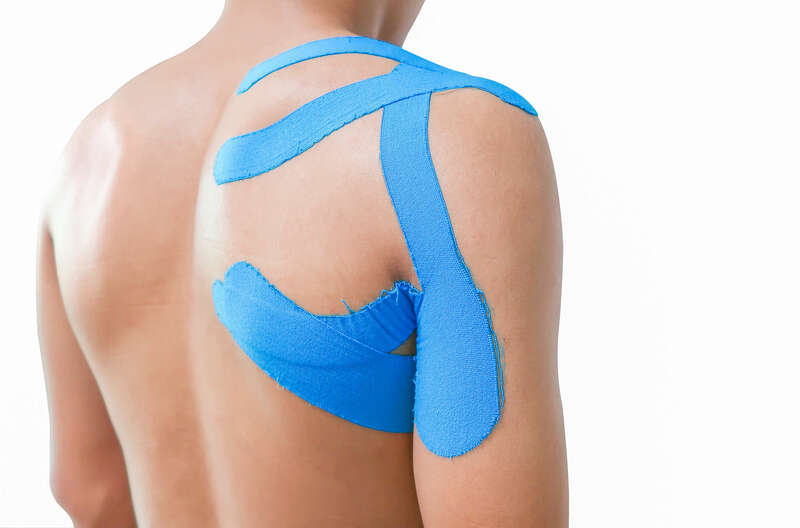 Kinesio tape has a cotton backing to allow the skin to breathe. Kinesio taping is used for a wide range of injuries and conditions. It is primarily used to support muscles and joints by holding them in place. This can help reduce pain to an injury from moving around. Kinesio taping can also provide support to help prevent injuries and improve circulation. Kinesio tape applies gentle pressure that lets the body know the specific area needs more blood. It helps pull the skin back from the muscles to allow more room for blood flow, which can help promote recovery from injuries and inflammation. Kinesio taping is commonly associated with athletes because they use it a lot these days. Athletes like Kinesio tape because it provides additional support without limiting their performance. Are you interested in the benefits of Kinesio taping for treating and assisting in the prevention of pain? Contact our team today for more information or to schedule an initial appointment. Excel Sports and Physical Therapy serves patients from multiple locations in the St. Louis area. Please, visit our locations page to discover other clinics that may be more convenient for you.